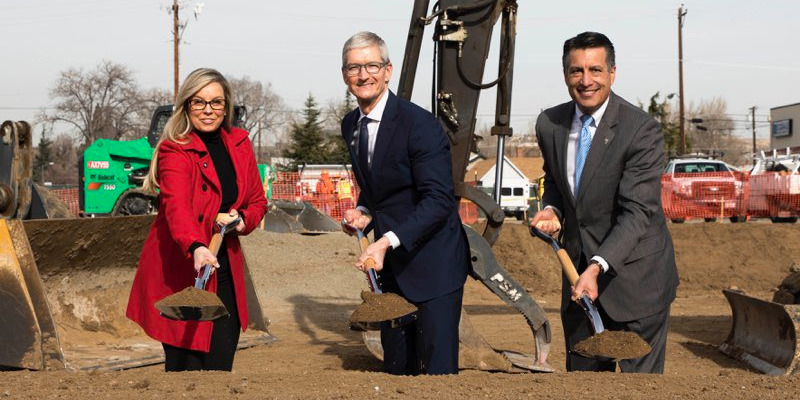 Apple announced plans for a new US campus, but notably did not say where it would be located. Apple’s announcement comes a few months after Amazon invited cities to submit bids and compete for the privilege of hosting the company’s second headquarters. Apple has not openly solicited bids or tax breaks, but history suggests it will reap many such financial perks. Apple CEO Tim Cook is taking a page out of Amazon CEO Jeff Bezos’ playbook.